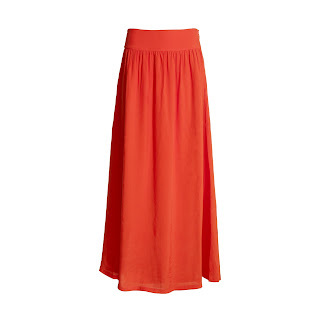 I wasn't sure about this whole maxi skirt thing, I'm 5 foot 3 and so finding ones that don't need tailoring is pretty tough - and - the only way I have ever found to defy the eye about my height is to wear heels noticably - I didn't think you could with a maxi skirt. I was wrong. 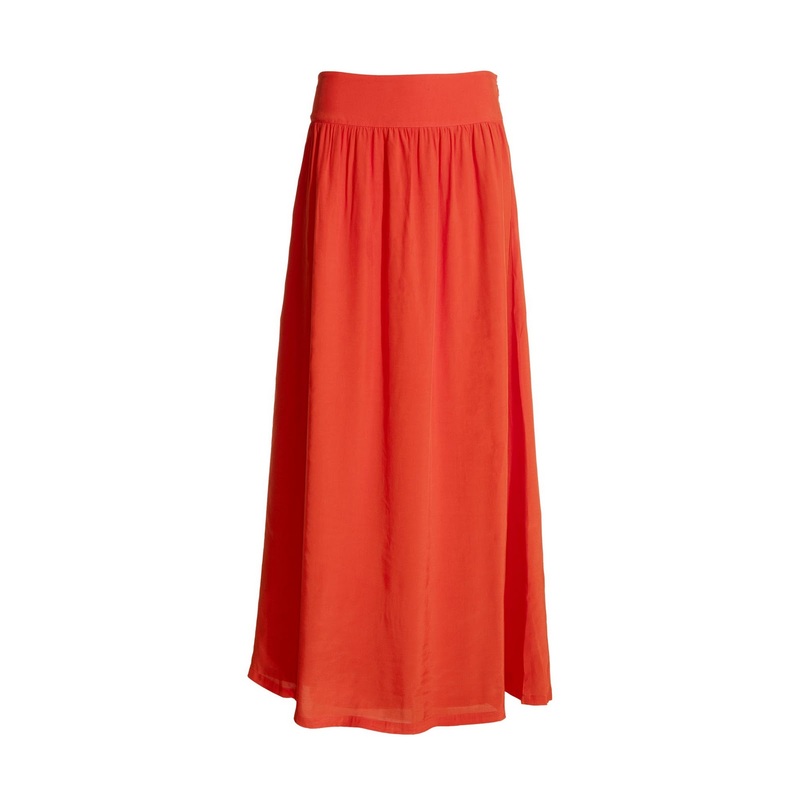 It was pretty naughty of me to buy it, especially when I already have the Carrie Skirt from Whistles (a vague attempt at fading my woes at the lack of Jil Sander in my life). But sod it, it's beautiful and to be honest it's a million times better. It says summer, and it also hides my pasty legs. You can (a relevation for me), wear it with heels too as I have been wearing mine with my new Reiss 1971 brown shoes, which I'll put a picture up of below. It's £110, I know, I'm really sorry - but I can really see this lasting a long time. It's a bold colour but it's a bit like cobalit blue in the sense that red never really, truly goes out of fashion. And even when it isn't on the catwalk, when you wear it, it continues to make an acceptable statement. As the model above shows, you can beach-it-up and wear it with sandals or you can funk it up with a sharper top and heels (like me). Reiss isn't somewhere you can buy anything (at least not on a budget like mine) but you can find great investments in there, and for investments they aren't too expensive at all. Their Bicester Village store in Oxford is amazing too. obsessed. it's gorgeous. i might have to look into it! i'm 5'2, so i've never even considered a full length skirt! thanks so much for the lovely comment and following.